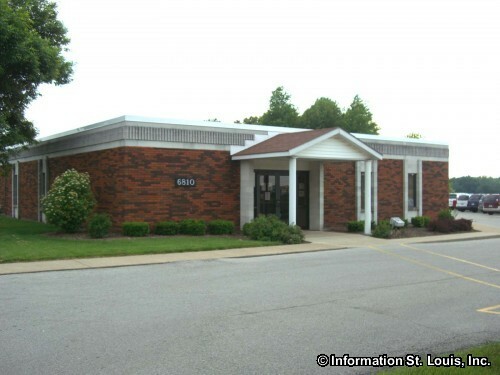 The Village of Godfrey Illinois is located in Madison County and is about 40 minutes from Downtown St Louis Missouri. Important roads located in Godfrey are Routes 111 and 3, Highway 67, the Great River Road along the Mississippi River, North Alby Road, Pierce Lane, Humbert Road and many others. Godfrey has had a steady increase in population since 1990 and was recorded as having 17,982 residents in 2010. 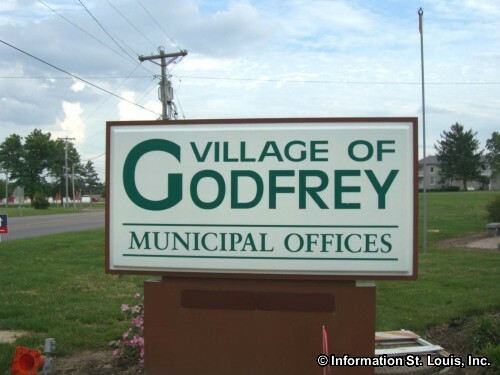 The Village of Godfrey was officially incorporated in 1991. The residents to Godfrey are served by the Alton Community School District #11 and high school students attend the Alton High School. The district has three elementary schools available for Godfrey residents and attendance is determined by the address of the student. 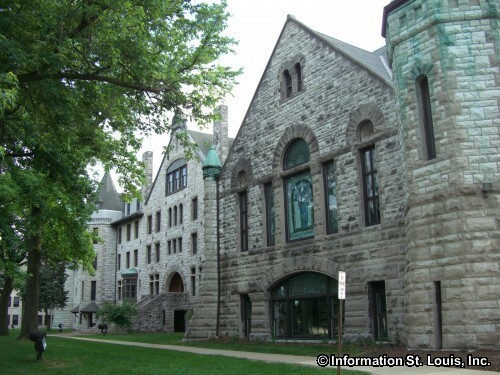 Private and parochial schools in Godfrey include Evangelical Elementary School, Montessori Children's House and St Ambrose Catholic School. The Village of Godfrey maintains six parks in the community. Those parks are the Clifton Terrace Park, Glazebrook Park, Homer Adams Park, the Godfrey Ball Park, LaVista Park and the Hoffman Gardens at the Great Rivers Park. Amenities that can be found at these park include playgrounds, athletic fields for soccer, baseball and softball, trails, pavilions and more. Other recreation opportunities in Godfrey include the Alton-Wood River Sportsman's Club, and several golf courses including Lockhaven Country Club and Rolling Hills Golf Course. 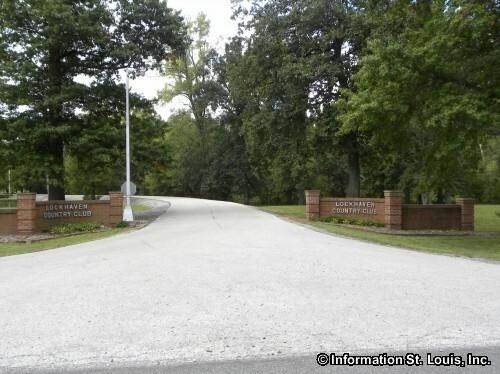 Two unique communities are located in Godfrey Illinois. One of them, Beverly Farm, is a planned community on 220 acres that gives a place to live and work for adults 18 and older that have developmental disabilities. The other is United Methodist Village, a retirement community on 120 acres that features assisted living as well as independent living options. 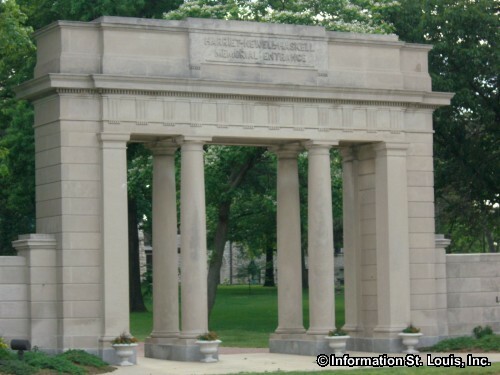 Godfrey Illinois is named for one of its most successful businessmen, Benjamin Godfrey, who came to the area in 1832. The village was originally called Monticello after the college Benjamin Godfrey had established, the Monticello Female Seminary, the first of its kind west of the Allegheny Mountains. The all female college opened with its first class in 1838. 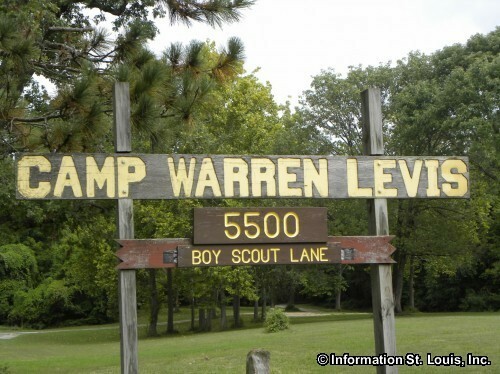 It had its last class graduate in 1971 and is now the campus of the Lewis and Clark Community College. Godfrey, as well as Alton, was important to the Underground Railroad for many years before and during the Civil War. It is said that tunnels exist under the original buildings of the Monticello Female Seminary that were used by the Underground Railroad. Rocky Fork, a very large community of free African Americans, is said to have been instrumental in helping runaway slaves, or "Freedom Seekers" to blend into the community or to help them continue on their way to Canada. 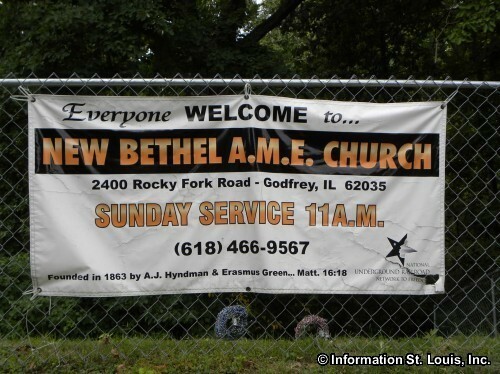 Today the Rocky Fork New Bethel AME Church, founded in about 1863, is still an active church and is all that remains of Rocky Fork. 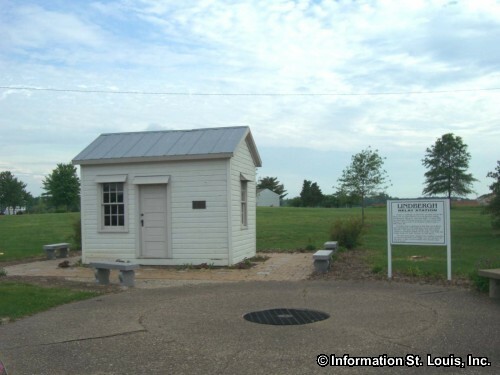 There are many historic landmarks in Godfrey. 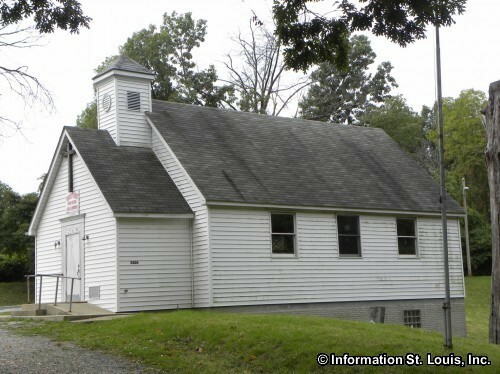 The Benjamin Godfrey Memorial Chapel on the Lewis and Clark Community College is one and was built in 1854. 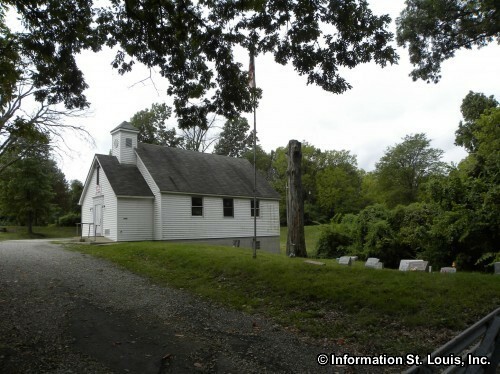 It is an excellent example of Greek Revival church architecture and is on the National Register of Historic Places. 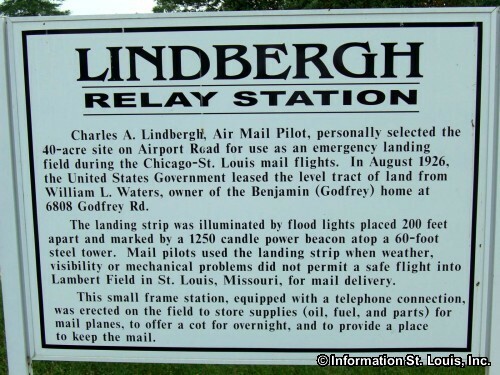 Another historic site that was moved to the Godfrey Village Hall is the Lindbergh Relay Station, an airmail relay station for pilots established by Charles Lindbergh.